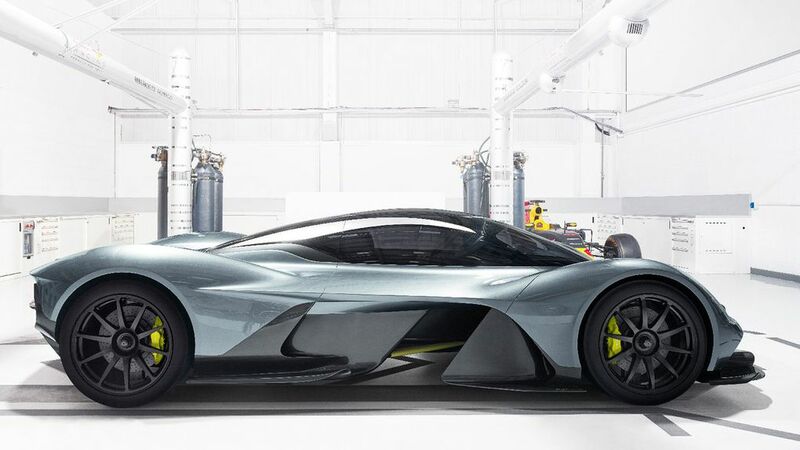 Aston Martin has teamed up with none other than Red Bull Racing to secretly develop a new hyper car that appears as if it might be something really special. It is still in the concept phase so the details are quite scarce, but the few things we do know definitely catch your attention. First of all of course is the look. If you were to imagine what cars will look like in the future, I bet it closely would resemble what sits before you here. Very low and sleek with all kinds of fins and flaps. Looking at it from the side you can see all the way up under the passenger compartment slightly resembling the look of an F1 car. 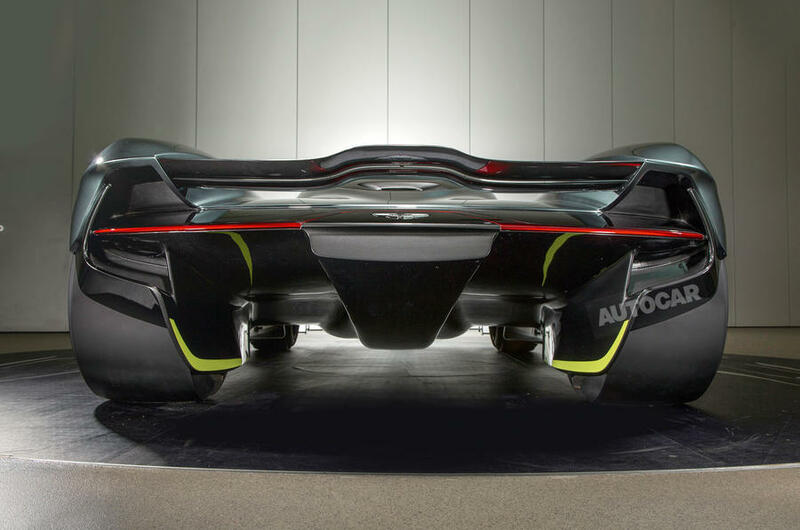 They are calling it a mid-rear mounted engine, more on that in a minute, that’s situated right behind the cockpit making it appear as if it would be a single center seat similar to that of the McLaren F1. But it does have seating for two. More details on the interior are scheduled to be released later this year. Now on to what’s really exciting about this car. 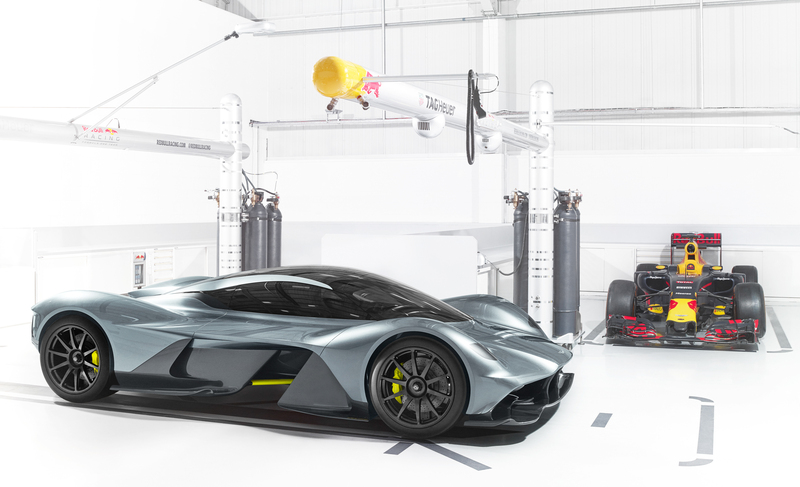 The first thing that really caught my attention, aside from the look, was that Aston Martin and Red Bull have the goal of one to one power to weight ratio. That’s right, they plan on following in the footsteps of theKoenigsegg One:1 by having one horsepower for every kilogram of weight. While exact production figures have not been released, its fairly safe to say that we should expect at least 1,000 hp if they meet that goal. Now you might expect this to be another one of these quad turbo monster engines. Or even better yet, a hybrid system similar to that found in the holy trinity cars, the P1, LaFerrari and 918, but that couldn’t be further from the case. 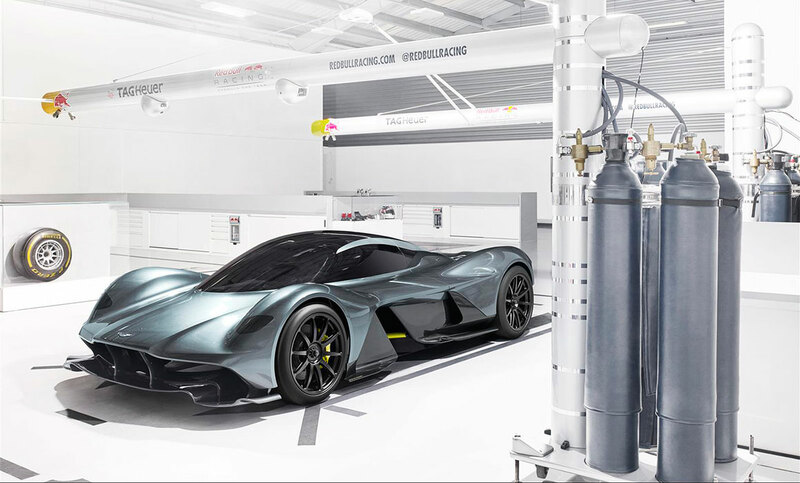 Powering the AM-RB 001 will be a naturally aspirated V12 which means that this car is going to have a knee buckling exhaust note, especially when tuned to 1,000hp or more. 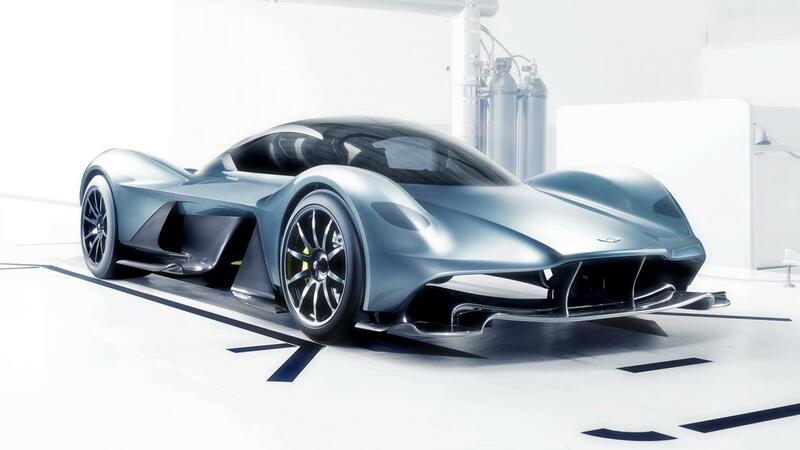 Just picture the intoxicating sound of the 800hp naturally aspirated V12 in the Aston Martin Vulcan but possibly even more ferocious. Granted the Vulcan isn’t street legal in part because its so loud, but still. This is not going to be one of those track-only cars that will never be seen out in the real world. This is intended to be a street legal road car! 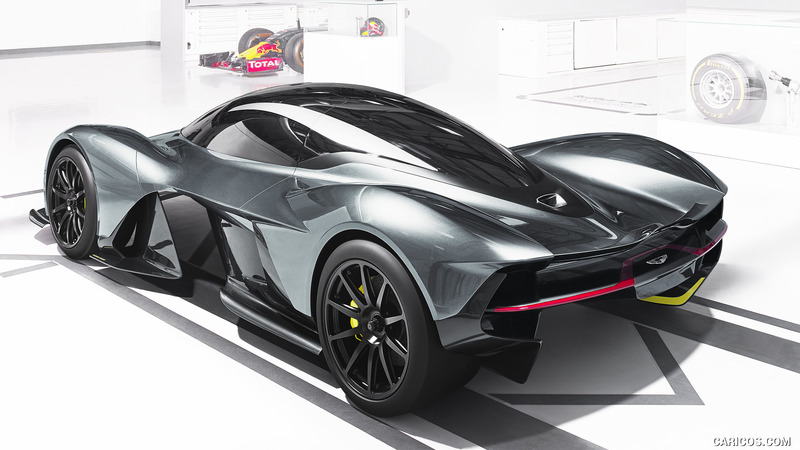 Aston initially planned on making only 99 examples of this potential masterpiece, plus 25 track only special editions, but to date more than 370 customers have expressed serious interest so that number is said to increase. Pricing is also not official but it’s been estimated somewhere between $2.5 and $4 million. Most likely the track only version being on the higher end. Customer deliveries are scheduled to take place some time in 2018 but I’m sure in the meantime, we will be learning quite a bit more about this car. 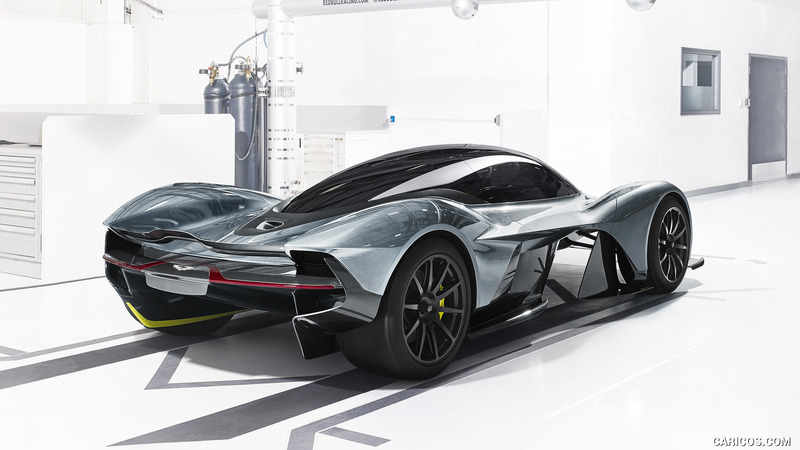 For example the actual name of the car since AM-RB 001 (short for Aston Martin/Red Bull) is just a code name. Thanks to YouTube car-spotter Schmee150 we have a video of the special launch held at the Aston Martin factory in Gaydon. Take a look at this beautiful car, what do you think? Could the Koenigsegg One:1 soon have some competition?